ConceptDraw DIAGRAM diagramming and vector drawing software offers the Area Charts solution from the Graphs and Charts area of ConceptDraw Solution Park for quick and easy drawing the Area Chart of any complexity. How is it easy create the Area Chart in ConceptDraw DIAGRAM Just a few movements - drag the predesigned graph object from the Area Charts library to your document and simply set your values. And professional looking, visual and clear Area Chart will be completed. 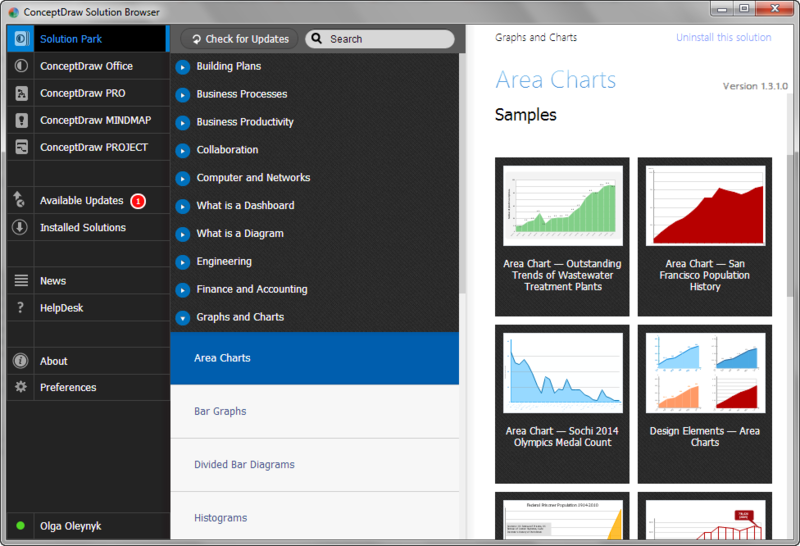 Area Charts Solution provides also wide variety of templates and samples of professional looking Area Charts. They are represented in ConceptDraw STORE. 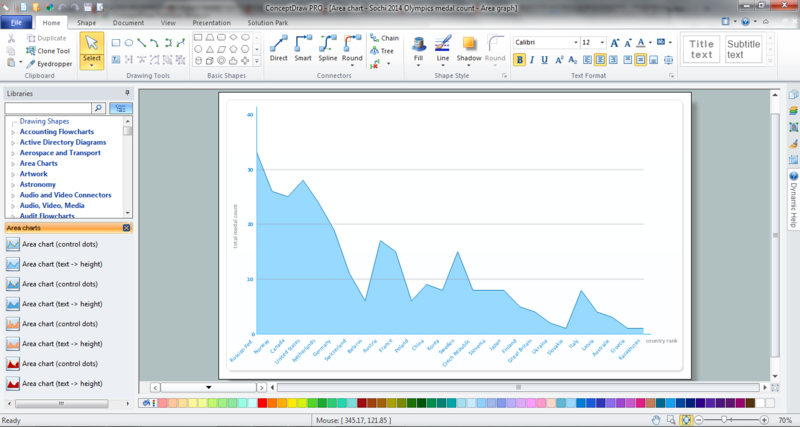 You can choose the any favourite Area Chart from the ConceptDraw STORE. All they are available for opening, viewing and editing. 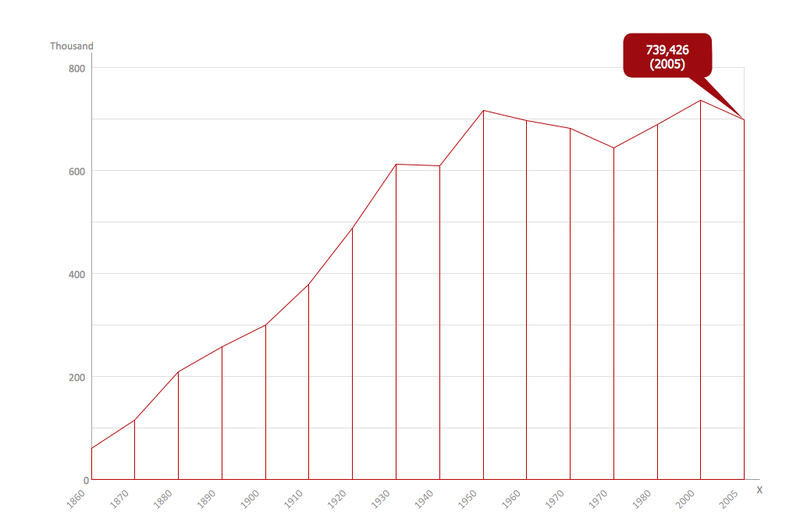 This Area Chart was created in ConceptDraw DIAGRAM using the Area Charts solution from Graphs and Charts area and shows how a population in San Francisco grew over the time. An experienced user spent 15 minutes creating this sample. 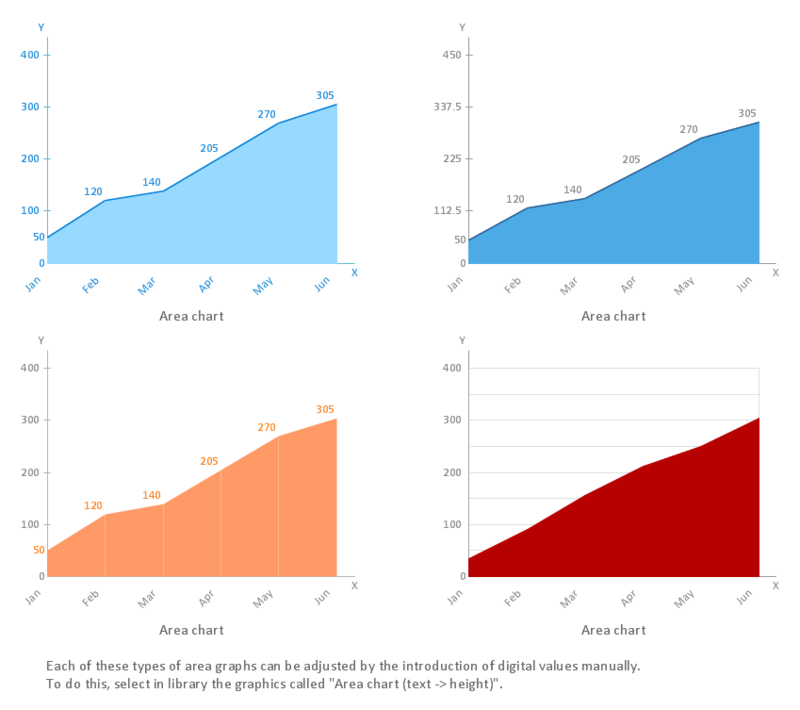 The Area Chart designed with ConceptDraw DIAGRAM is vector graphic documents and is available for reviewing, modifying, converting to a variety of formats (image, HTML, PDF file, MS PowerPoint Presentation, Adobe Flash or MS Visio), printing and send via e-mail in one moment. ConceptDraw DIAGRAM v12 diagramming and vector drawing software extended with Picture Graphs solution from the Graphs and Charts Area is the best choice for making professional looking pictures of graphs and colorful picture graphs.